HUSH Y'ALL! 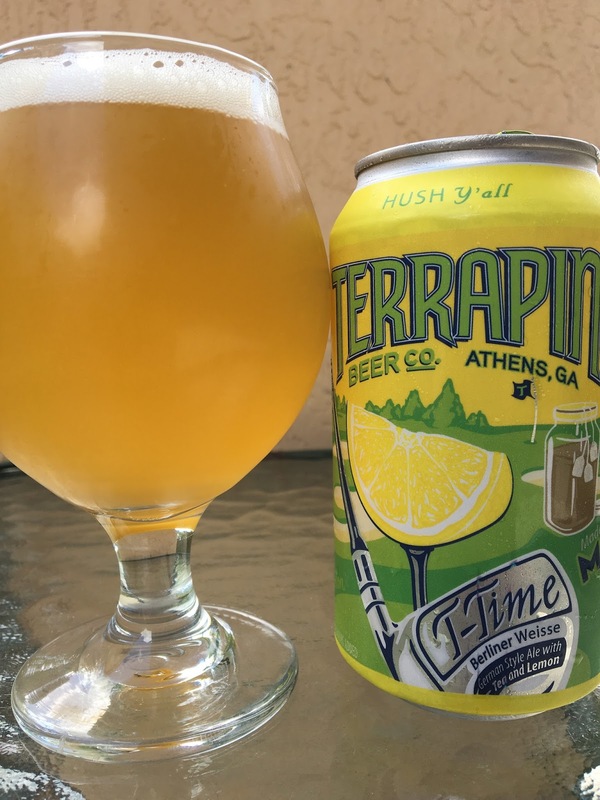 I have a can of Terrapin T-Time Berliner Weisse in my glass right now. DON'T BE AFRAID TO SLICE THIS ONE! Can art includes a slice of lemon on the golf tee and a pitcher of MAYA Tea off to the side. Brewed with lemon and tea. 4.0% alcohol. 5 IBU. Salty lemony aroma. Definitely tart to start with plenty of lemon. Prickly carbonation. 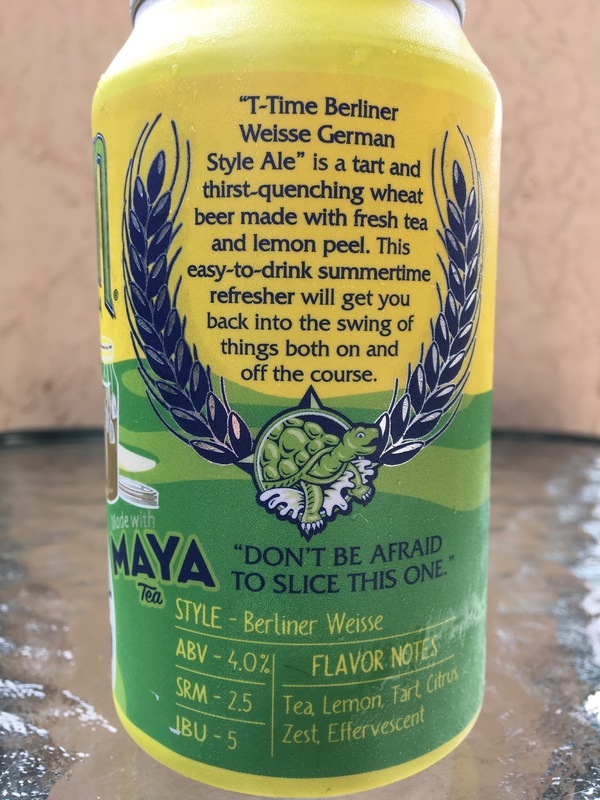 Pretty tough to isolate the tea against the aggressive lemony, zesty bite. If forced, I'll say I can taste the light herbal tang of the tea. Not bad.